Searching for proper details to apply for kisan vikas patra? Do you know what exactly it is? Well, in this article I have researched and posted official details of it. Let’s have a look at it. What is kisan vikas patra? Kisan vikas patra was dropped in December 2011. However, it is restarted now and it is an instrument on which fixed interest is paid by the government. Moreover, the instrument is sold by the government and you can buy it at any post office of your area. You can purchase it by paying either in cash/cheque/pay order/ demand draft. In addition, there are 3 types of kisan vikas patra. Want to know how to apply for kisan vikas patra? Below is the information about it. How to apply for Kisan Vikas Patra Scheme? To apply for kisan vikas patra, you need to submit an application form A or Form A1 either in person or with the help of agent of the small savings scheme. Well, form A is used for direct investment and form A1 (colored background form) is used if the investment is made through an agent. Moreover, you can apply by visiting your nearest post office and meet the person responsible for Kisan Vikas Patra. Get the required form from him and fill up the information properly. Submit it with necessary documents. You can make payment through cheque or demand draft (DD). In addition, you will also need your recent photograph. Once you submit and make payment, you get the instrument on the date on which your payment is cleared. If you pay cash then you get the instrument immediately. Furthermore, you can also download the kisan vikas patra online. To download the form, click on http://india.gov.in/allimpfrms/allforms/1264.pdf link and get it. One more important thing you will need is at the time of issue of the certificate, you must request for identity slip. You will require it in case of loss of certificate as well as easy processing of payment at the time of maturity. Government of india is again going to roll out Tax Free Bonds where you will get tax benefits on interest earned. 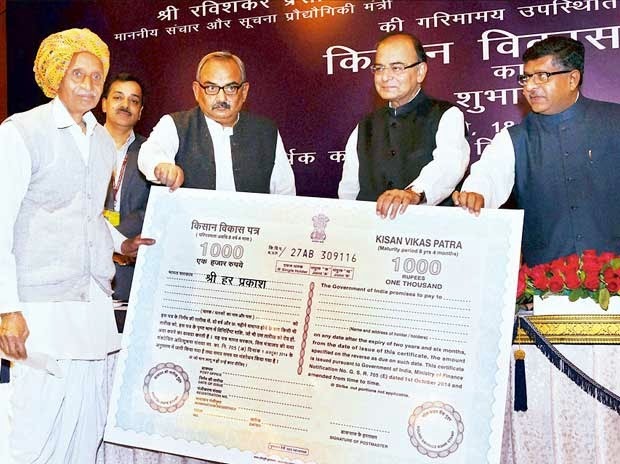 If you want alternative of Kisan Vikas Patra,then you can check out 7 new Tax Free Bonds. For any doubts and queries please leave comment below.